We discovered a great collection of vintage photographs and postcards showing bandstands around the world on a UK-based website. 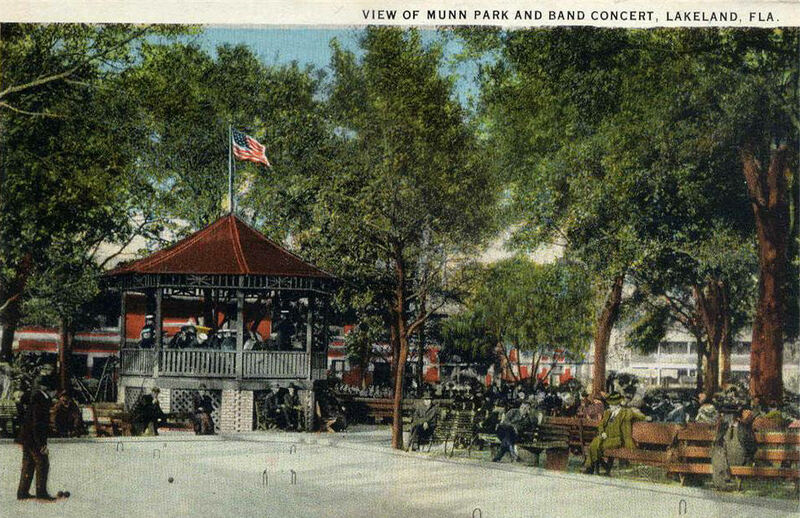 Many of the bandstands are no longer in existence today, but their images remain as a reminder of the many enjoyable hours spent listening to bands in the parks and showcase the wide variety of architectural styles applied to these small structures. 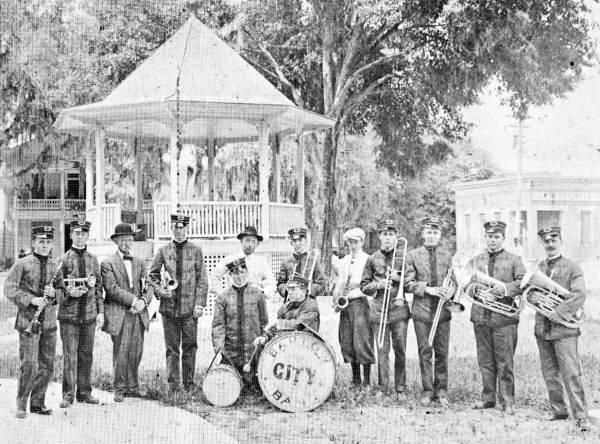 All images shown here showcase historic Florida bandstands from either the Vintage Bandstand site or the Florida State Archives. A bandstand is a circular or semicircular structure set in park, garden, or pier, designed to accommodate musical bands for outdoor concerts. They provided a community gathering place for entertainment, particularly during the Victorian era. They remained popular until the 1950s and 60s when television became a greater entertainment draw. Smaller bandstands are often not much more than gazebos. 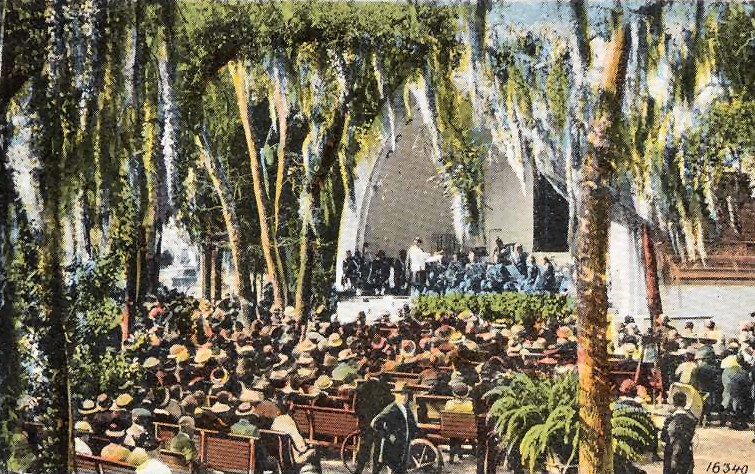 Bandstands were common in many Florida communities, as was the related bandshell structure, which were commonly built using WPA funds during the Depression (photo above).